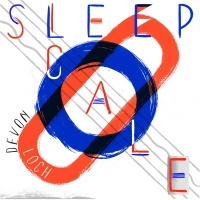 Largely drawn from sombre piano scores, Sleep Scale is a work of stark, simple, minimal ambient music from Kit Records co-proprietor Richard Greenan who records as Devon Loch. Combined with wheezy organ, ambient electronics, location recordings and one track of guitar twang it is a low key release of dreamy, atmospheric, homespun mood music. Portland based experimentalist Best Available Technology appear on one track but it is the inclusion of Glasgow based Polish pop-experimentalist Ela Orleans, who has just released the acclaimed Upper Hell with Howie B on production duties, which will undoubtedly raise the interest in this one. Sleep Scale opens with the repetitive hush of the chiming collage of 'Somnol' and closes with the post-rock acoustic guitar pickings of 'Somer', inbetween are a number of hazy sound sketches. The fragile piano chords of 'Rook' ebbs towards modern classical, with the slightest touch of sound treatments. But things take a turn to more Radiophonic experimentalism and haunting sounds with the aid of the collaborators. 'Avon' unfurls to Satiesque piano chords but comes with queasy keyboards courtesy of Ela Orleans, who appears on three of the seven tracks. Pick of the bunch featuring Ela, is 'Rapid' which with nocturnal drones, organ chime and staggered bursts of static continues the archaic feel of much of Ela's own work before a backward spinning violin score moves things towards queasy psychedelia. Nostalgia abounds on 'Slow Wave' where, with Best Available Technology, slightly skewed organ drone is layered with hand rhythms and a bed of static, sounding like a vintage seventies television soundtrack and the kinda thing Trunk Records would put out. Occasionally on tracks such as 'Somnol' and 'Canoo' the arrangements on Sleep Scale become more collage based. The enchanting 'Canoo' goes all Martin Denny exotica style with its chirping birds and playful piano muzak, before slipping into parping organ and primitive drum rhythms, while the opener 'Somnol' moves from repetitive chiming piano through hissing organ drones to treated foreign voiceovers, and lapping waves. Sleep Scale is filled with short skewed sound sketches, neither jarring nor unnerving but the mood is bathed in a half light, and these two tracks, in particular, are like auto-spinning through the radio dial during the hinterland just before sleep arrives.